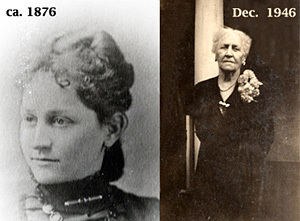 Comments: Helen Goddin (Crafton) Harris was born in Richmond, Virginia, on December 28, 1856. 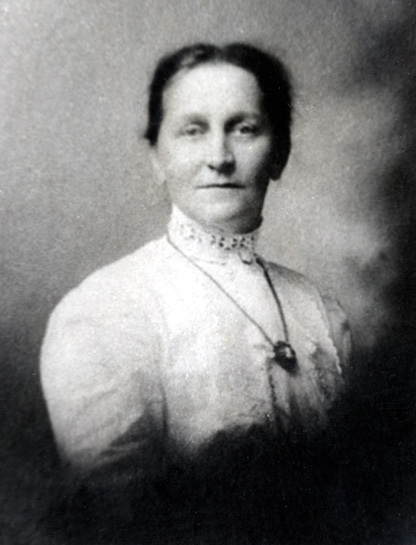 Her early education years were spent in Washington, DC, and Helen attended college in Richmond at the Richmond Female Institute (now called Westhampton College). While visiting her Worsham cousins in Scottsville, Helen met her future husband, Charles Bascom Harris, Sr. Helen married Charles on December 1, 1879, and moved to Scottsville where they raised a family of six children at their 'Fairview' home. Helen died in 1954 at the age of 98 years. These photos are part of the Katherine Ellis collection. Katherine resides in Scottsville and is the granddaughter of Helen Goddin (Crafton) Harris and Charles Bascom Harris, Sr.